Louisville, KY. — March 20, 2012 — (NYSE: GE) — GE previewed today its new refrigerator product line, the soon-to-be-launched French door bottom freezer refrigerator series, at the grand opening of a new factory at GE’s Appliance Park, the second manufacturing facility to open within six weeks here. The new refrigeration line – which features the most advanced ice and water technology on the market today – will support 600 new local jobs and improve the competitive position of the 130-year old brand. GE Chairman and CEO Jeff Immelt will be joined by Kentucky Gov. Steve Beshear and more than 1,000 GE employees to celebrate the facility opening as another milestone in the revitalization of GE’s Appliances business. Efforts to revitalize the business began in 2009 when GE committed to invest a total of $1 billion ($800 million in Louisville) and create more than 1,300 new jobs in the U.S. by 2014. Today’s announcement comes on the heels of the February opening of the GeoSpring™ Hybrid Water Heater manufacturing facility, the first new factory to open at Appliance Park since 1957. The new refrigeration line is one of 11 new products that will be launched by GE Appliances by 2014. 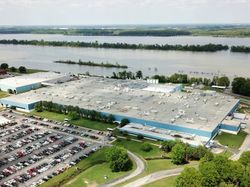 The renewal of manufacturing in Louisville is a result of several factors, including the adoption of Lean manufacturing techniques and a more competitive wage structure for new employees, all intended to help GE better compete in a global marketplace. The Lean process, which uses a cross-functional team of employees – including hourly manufacturing workers – helps increase the competitiveness of the operation by identifying and removing waste in materials and work effort often found in traditional manufacturing. The new GE French door refrigerator line has been designed with intelligent home technology and is built to make the consumer’s world work better. 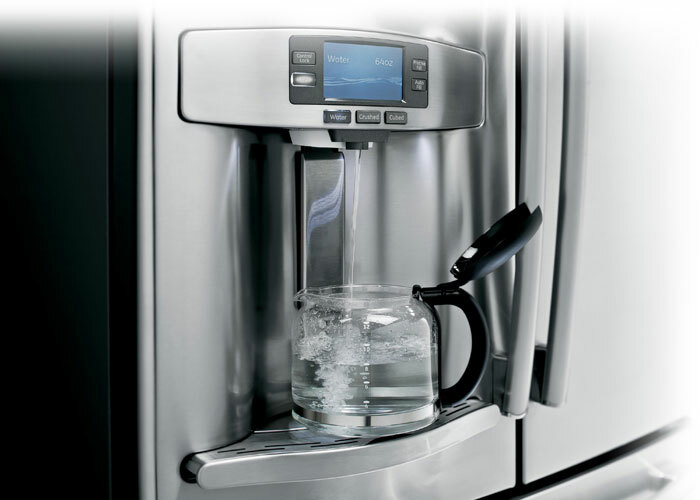 The products offer the most advanced ice and water technology on the market today. GE Profile™ models (PFE29PSDSS) will feature a Hands-free Autofill system that uses sound waves from ultrasonic sensors and proximity detectors to fill a glass, water bottle, coffee pot or pitcher – an industry first. 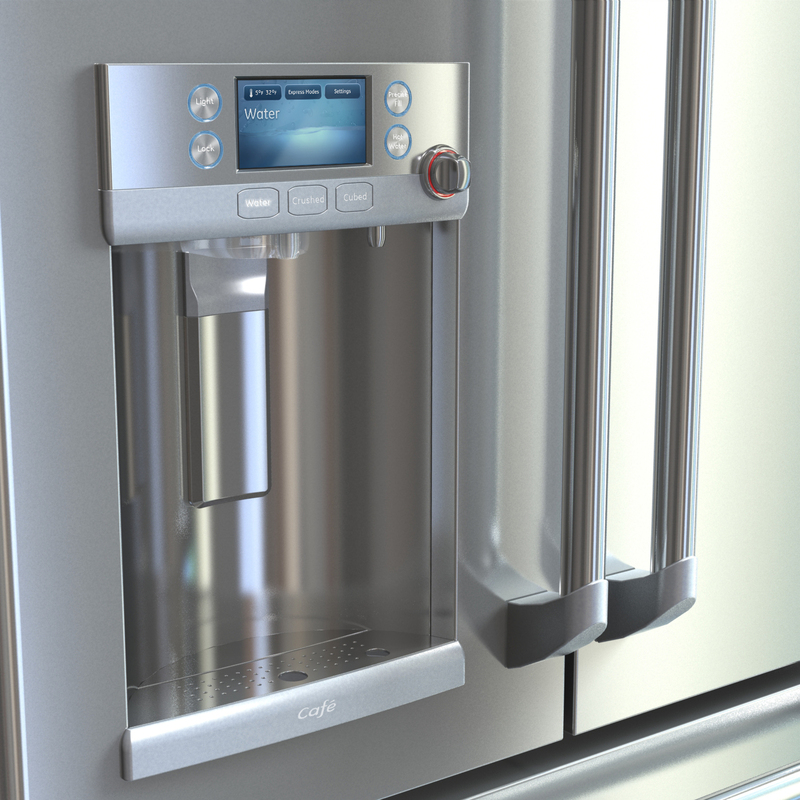 The GE Café™ model is also the first refrigerator in the industry to feature a hot water dispenser, which can heat up to 12 ounces of water in two minutes. In keeping with GE’s ecomaginationSM vision of the world, the new refrigerator models boast the first bottom-freezer manufactured in the U.S. to use cyclopentane foam, which reduces the greenhouse gas emissions during manufacturing and at the end of the product’s life cycle, ultimately making this line better for the environment. More information on the new products’ technology and features can be found at online. A new study, commissioned by GE and conducted by independent consulting firm Tripp Umbach using 2010 data, quantifies GE’s presence in Kentucky, showing that the company directly and indirectly contributes $1.6 billion to the state. This means $1 out of every $103 in the Kentucky economy is supported, in part, by GE’s presence. In addition, the study found that GE helps support over 12,000 jobs in Kentucky, with nearly 5,000 direct employees, and for every GE job an additional 1.5 jobs are supported through a combination of employee spending and the company’s vendor purchases. 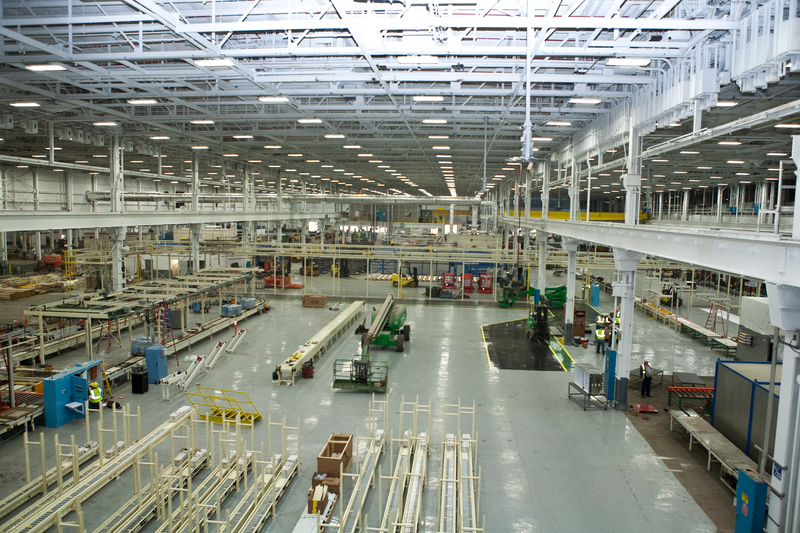 GE has several Kentucky facilities in addition to Appliance Park, including GE Aviation engine manufacturing, testing and distribution centers, a GE Energy repair services center and a medical equipment manufacturing facility under GE Healthcare. GE, in partnership with GOOD/Corps, has launched the What Works Project, a digital social innovation campaign that gives the public a simple, yet meaningful way to celebrate the innovations that work to advance our nation. Together they have selected, Kentuckiana Works, to be featured as Non-Profit of the Week. 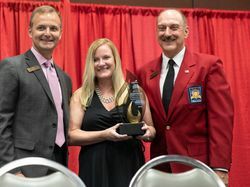 The organization is eligible for a donation of up to $10,000 starting March 19 through March 26for its support of job creation and training in the community. Each week, the public is invited to visit www.celebratewhatworks.com and submit their ideas and images for the inventions and technologies that drive human progress. Each submission or “heart” for submissions will generate $1 for Kentuckiana Works. In addition, the Project will reward public participation with a $2,500 cash prize to be divided equally among five winners each week ($500/winner). 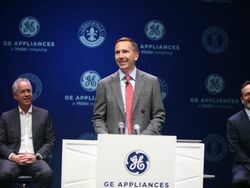 The new refrigeraton factory at GE's Appliance Park headquarters will create 600 new jobs and is part of the company’s $1 billion investment in new product lines that will bring more than 1,300 jobs to the U.S. by 2014. Consumers respond to a survey about their use of their refrigerators. The Hands-free Autofill dispenser with its pull-out tray is large enough to place a container, press the button and walk away while it fills up automatically. 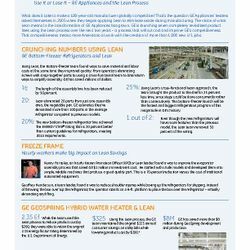 This clip outlines the use of cyclopentane at the GE Appliances’ French door refrigeration factory. This video includes interviews with GE employees involved in the production of the new GE French door refrigerators. 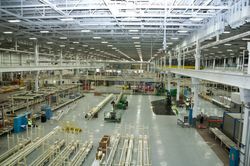 This video shows the transformation of the French door refrigeration factory at GE’s Appliance Park. 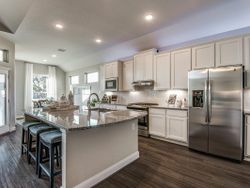 Paul Surowiec, refrigeration general manager, GE Appliances, discusses the company’s investment in the new French door refrigerators, its impact and the consumer-driven features behind the new products. Consumers want their refrigerator to complement their lifestyle, and GE delivers with its new, feature-rich French door refrigerators. 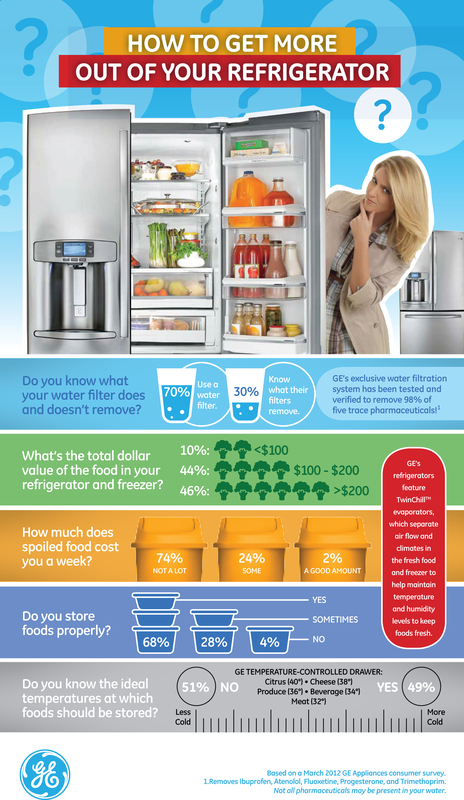 Consumers respond to a survey about their use of their GE refrigerators. A Fresh Perspective: Whats In Your Fridge? A Fresh Perspective: What’s in Your Fridge?